Get ready to say Wow! We’re really excited that you’re trying ENJO for the first time. When trying ENJO, so many people say WOW, and they keep saying it for years to come! It’s hard to believe this little fibre can clean pore-deep, six times better than traditional cleaning methods. That’s a WOW in itself, isn’t it? And of course there is a reduction in the time it takes to clean, plus a reduction of harmful chemicals in the home and environment – which impacts our health and well being. 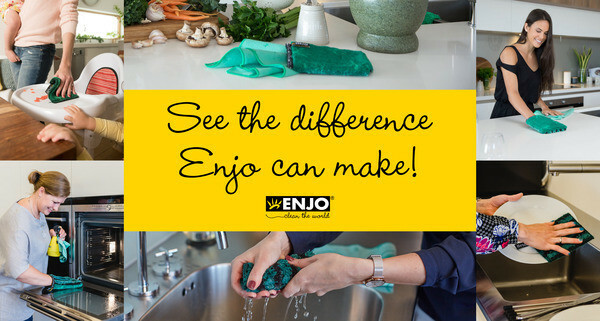 ENJO is hard to believe at first, but super easy to use! To help you see how ENJO works, check out the videos below to see how ENJO works, and to see how you’ll use your new ENJO Fibre.